A Moderately Happy Birthday, Bill Buckley! But, contrary to this puff piece, Buckley had vented much of his youthful bile on Murray Rothbard, Ronald Hamowy, and other predominantly Jewish libertarians. These figures had disagreed with Buckley’s stated willingness to support an ever-growing public administration designed to prosecute the Cold War. 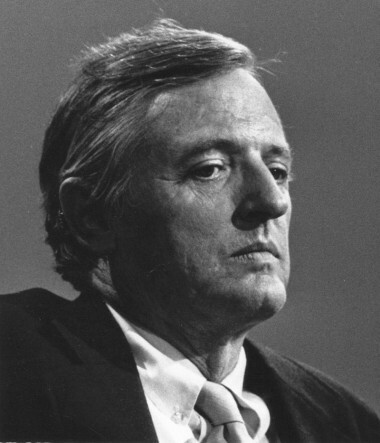 Although in the 1950s, Buckley had put on its feet an anti-Communist, energetically internationalist conservative movement, his polemics then hardly touched on such later journalistic demons as racism and anti-Semitism. A longtime contributor to National Review, who was part of Buckley’s wedding party, Revilo Oliver, was a self-described Nazi sympathizer and an exuberant anti-Semite. 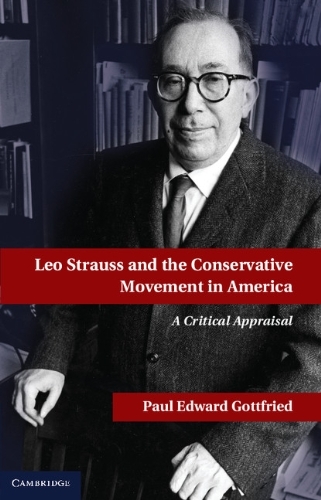 While researching a book for on the conservative movement (to be called Baseless Conservatism: Making Sense of the American Right, due early 2007) I was astonished to discover the gulf between Buckley’s current reputation as a sensitive moderate, who saved the intellectual Right from “extremists,” and his true, less-than-PC record as a controversialist. What can be said about that record is that it has undergone cosmetic surgery. Buckley’s fellow-journalists from across the political spectrum have accepted and even collaborated in this ongoing work. I personally can indulge some of Buckley’s youthful comments. But it must be asked why he has fared so well among left-liberals. Why have they not bestirred themselves to bring up his bulky dossier of past indiscretions? Could it be that Buckley became the bridge between the postwar Right and its neoconservative-led successor movement? Indeed, the term “bridge” may be too mild a description for the role that Buckley assumed in cooperating with the New Order. After all, he spent at least three decades accommodating his New York-Washington acquaintances, apparently leading to his social acceptance among non-rightwing journalists. Whether expelling staff or nixing contributors in the nineties who were not sufficiently sensitive on immigration, denouncing longtime friends who did not turn around fast enough on certain social and other litmus test issues, particularly when those changes suited Buckley’s networking purposes, or surreptitiously warning the newly elected President Reagan (according to Mark Gerson’s The Neoconservative Vision ) against appointing Buckley’s longtime friend, Southern conservative literary critic M.E. Bradford, to the NEH directorship, Buckley could be counted on to go with the flow. Equally apparent, Buckley’s value as a friend for those who were no longer of any use to him ranged from unreliable to shockingly bad. It is because of this record of bad faith that I am puzzled to see those who should know better giving Bill the benefit of the doubt in his developing spat with some of his handpicked successors at National Review. This quarrel broke out earlier this year between Buckley and his epigones, represented by NR editor-in-chief Rich Lowry, about the merits of the American occupation of Iraq. On February 24, 2006 Buckley opined in NRO that “the American objective in Iraq has failed.” Whereupon his once-favored acolytes let him have it for having broken ranks with President Bush and Bush’s neoconservative advisors. To my utter surprise, some of those whom Buckley had slighted or wronged over the years lined up against his detractors. Led by Joe Sobran and The American Conservative, these men of the right expressed sympathy for the elderly sage, who had suffered at the hands of his ungrateful disciples. My first reaction to this imbroglio was to root for the adolescents at NR against the fool who had put them in power. My next response was to wonder what advantage Buckley might have perceived for changing his position on the war. Over the years he has responded to social interest; and one is led to wonder: what exactly is he going after by lamenting the war in Iraq? Perhaps Buckley is tilting toward the Left, even at this late date in his career, for social reasons. Perhaps like George Will, who combines sneers at patriotic immigration reformers with complaints against the war, Buckley may be trying to broaden his public appeal, which might have shrunk from his many years of public exposure. The fact that Buckley bolted shortly before his eightieth birthday celebration last November, a gala event that took place at the Mayflower Hotel in Washington, may lend plausibility to my surmise. The soon-to-be octogenarian might have been trying to show an independent spirit, one that incidentally could not have displeased the journalistic Left. Such a move would not have kept his movement conservative friends from attending his bash but it would have appealed to those on the left who might have considered him over the hill. Buckley is apparently back doing what Dionne likes best about him:outing the extremists and enthusiasts in his movement. Despite these unkind thoughts, I do hope that Buckley has changed his mind about the course that his career has taken since the 1970s. While I cannot claim to feel the personal fondness for him exhibited by my friend Joe Sobran, years after Buckley had betrayed his onetime protégé, I would like to think of my boyhood hero in a more positive way than I have been able to do in the last several decades. As I enter my sixty-fifth year, I can recall a time when I respected Buckley as a daring polemicist. It is painful to think that I may have misjudged him, as when I met him in the company of Joe, at Hillsdale College in 1974, and told him with utter sincerity that he was “my favorite living writer.” It would be nice to believe that there was at least some small basis for what turned out to be a hyperbolic assessment. And though Buckley strayed from the straight and narrow, I do still hope that he is finding his way back to being something more than a neocon echo given in convoluted syntax. Despite his prolonged lapses, I want to believe there may still be something left in this once-sparkling wit—something more that Dionne praised in Buckley: the “moderate conservative,” also known as the leader of a toothless opposition. Paul Gottfried is Professor of Humanities at Elizabethtown College, PA. He is the author of Multiculturalism and the Politics of Guilt and The Strange Death of Marxism. Will Trump’s Victory Spell National Review’s Demise?